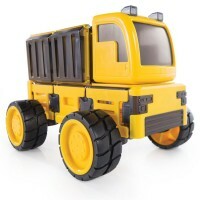 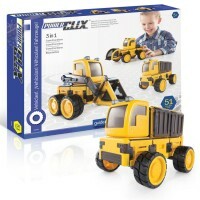 The superb Racerz Deluxe Vehicle Designer combines 4 bestselling Zoob mobile construction toys in one! 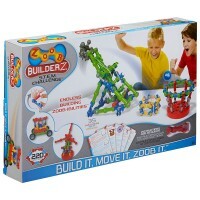 Kids favorite construction system, Zoob, brings this amazing vehicles construction set for all car and truck lovers! 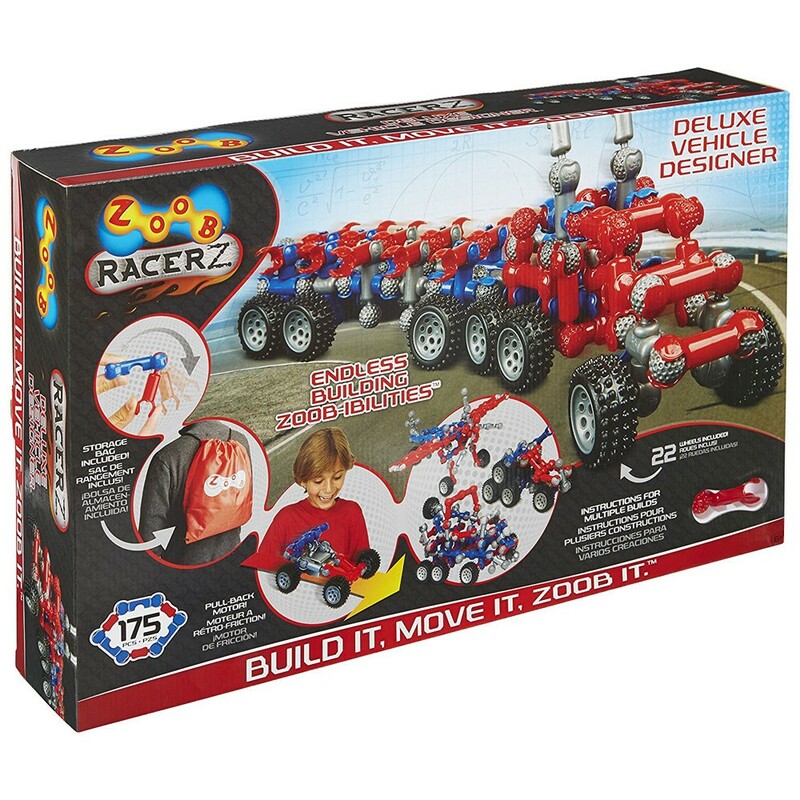 Deluxe Vehicle Designer Zoob RacerZ 175 pcs Building Set combines 4 bestselling Zoob mobile construction toys in one! 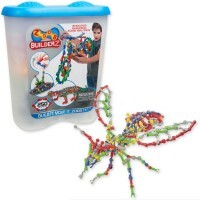 This moving vehicles building set comes with quality Zoob building parts that easily connect to each other providing flexibility and movement for the finished models. 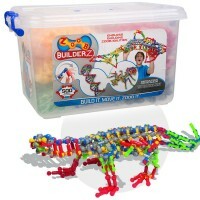 All the pieces snap together so many different way, that building possibilities are endless. 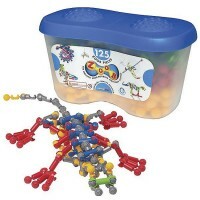 This ultimate vehicle design set includes special cool colors building parts to construct dozens of vehicles. 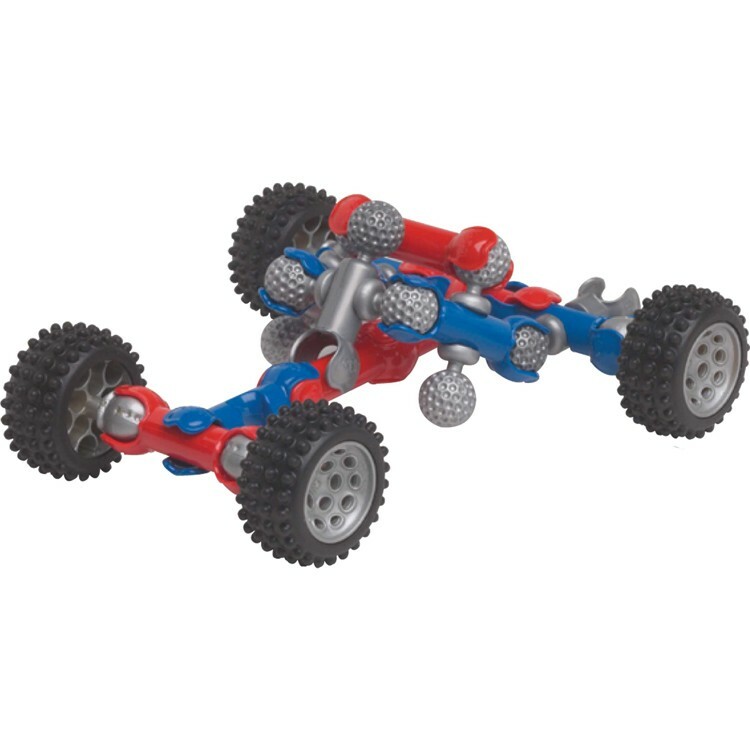 Young engineers can build super cars using the enclosed instructions or their own imaginative ideas. 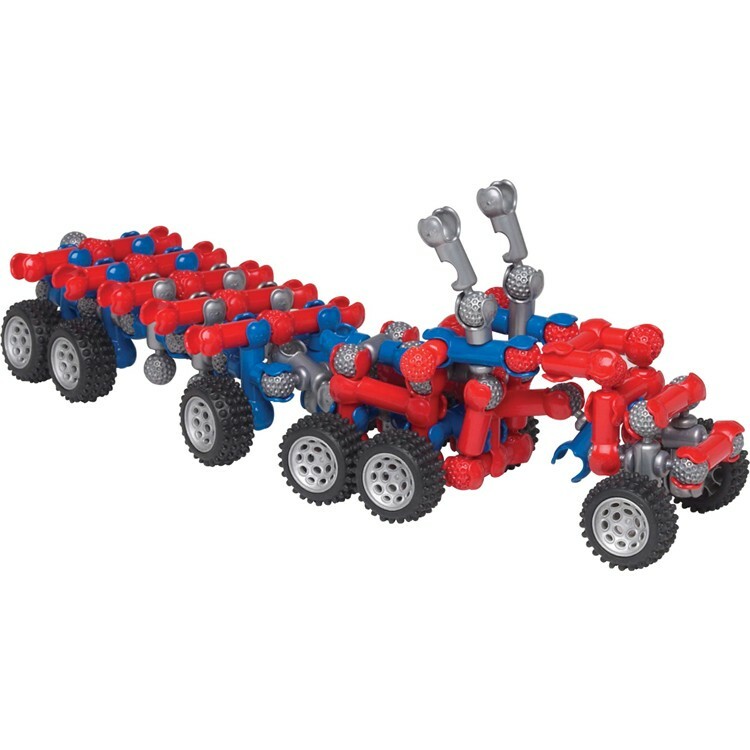 This deluxe Zoob vehicles building set comes with 22 wheels with rubber tires, 151 colorful connecting pieces, a pull back motor, and instructions to build moving models, including racing car, outback cruiser, 12-wheeled flatbed loading truck, moon walker, and much more. 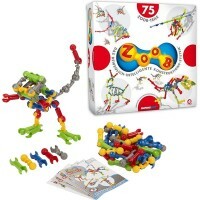 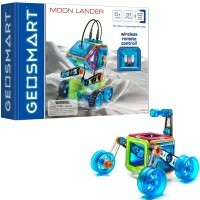 The wheels from this Educational Toys Planet's deluxe Zoob set work as gears to make the cars move. 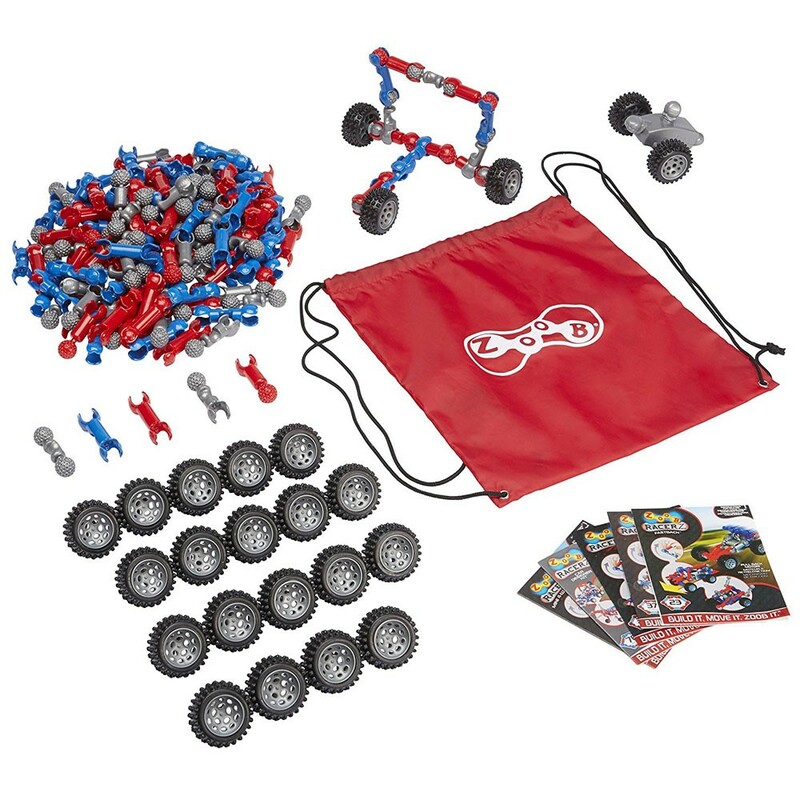 The vehicles building kit comes complete with a bright red sturdy drawstring bag to store or take-along the building parts. 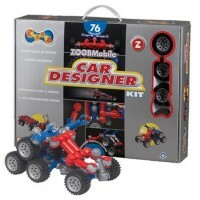 As with all open-ended Zoob construction sets, with this deluxe kit children can build multiple car models following the detailed instruction cards or designing your own means of transportation. 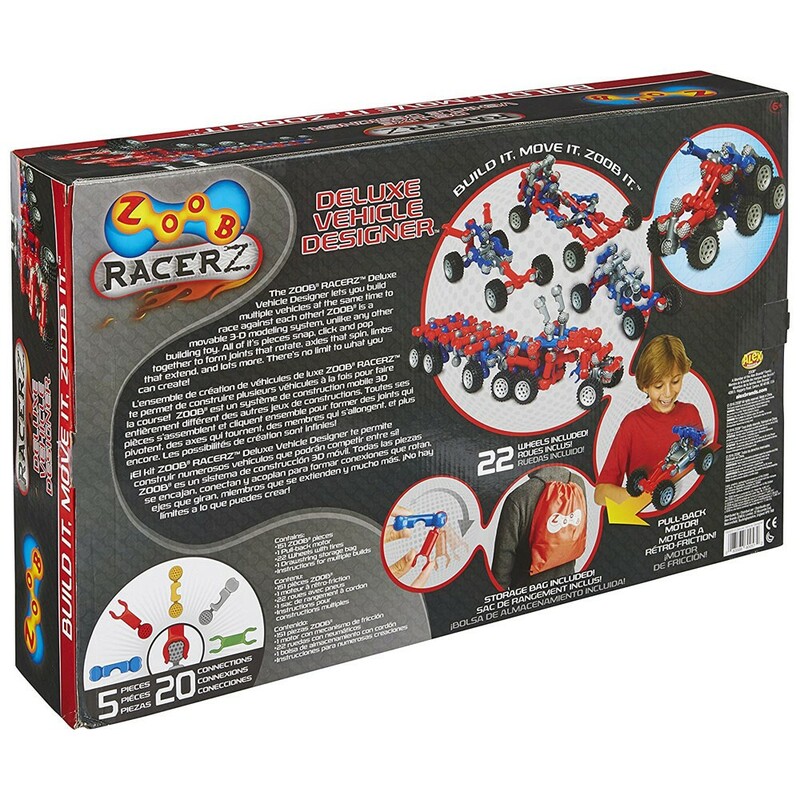 Dimensions of package 4.25" x 27" x 14"
Write your own review of Deluxe Vehicle Designer Zoob RacerZ 175 pcs Building Set.